Me and my Labour councillor colleague David Nagle asked local people how £180,000 should be invested in Rothwell, Woodlesford and Oulton for green space in the community, and have had a fantastic response. The money comes from the developers of the sites in Royds Lane, Rothwell and Fleet Lane, Woodlesford. It is known as ‘Section 106′ money and is a legal requirement that developers have to pay when they build large developments. It is to help the local community make improvements to the community and improve the local infrastructure to cope with the additional people the new developments bring. However, it’s not that simple as there are different types of 106 money and each type can only be spent on certain kinds of improvements. So for example Royds School is getting £300,000 that is allocated to increasing the amount of secondary education available. There is also about £180,000 of ‘green space’ money. This is meant to be spent on providing green space or outdoor recreational facilities that can be used by the community. 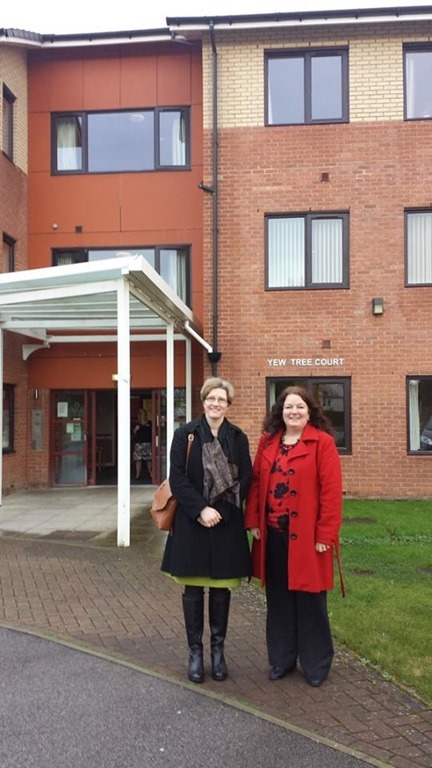 It’s not just for the people who eventually live in the new houses, but to benefit everyone in the wider community who is impacted by the new developments. The money will become available in phases with the agreement being that a third becomes available in the first six months of the building work starting. In the past council officers have asked councillors for their opinions on how the green space money should be spent, but it has largely been a decision by council officers and councillors. Me and my ward colleague Councillor David Nagle don’t think this is good enough and we think everyone in the community should be given an opportunity to have a say on the various ideas and options that are available. Thank you to everyone who has responded since we opened out the conversation to give all local people a chance to have their say, I have asked people on my blog, on our Rothwell News Facebook page and we’ve asked people at our stall at Rothwell carnival to let us know what they think and share their ideas. As well as asking people about existing ideas we also asked for new ideas. The most popular choice amongst local people is new playgrounds in Rothwell Springhead Park and Woodlesford Park. 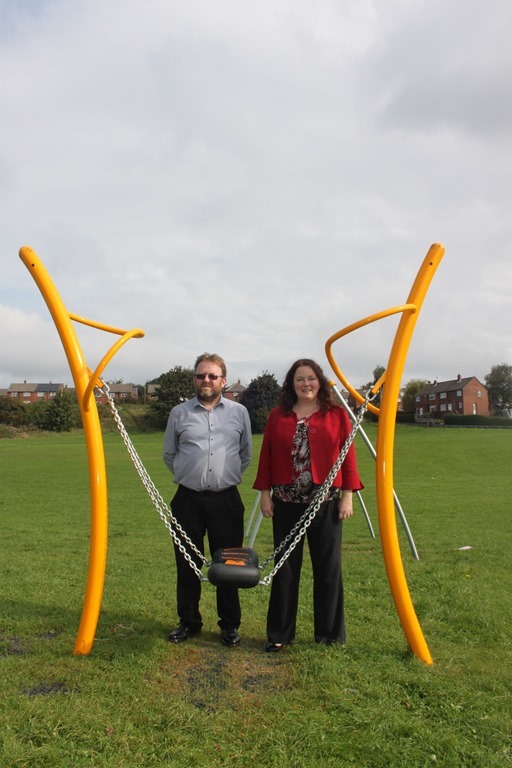 There were lots of comments in support of new playgrounds with modern equipment such as a zip wire which is already available in newer playgrounds such as in Carlton and Swillington. The 8010 group campaigning for a new skatepark in Springhead Park also has lots of local people backing it on Facebook. It is already applying for various pots of funding, but to succeed in getting a new skatepark needs a significant contribution from the 106 green space money. The group, along with Groundwork and the council, are applying for funds from other sources as they need a minimum of £100,000. The other idea that was put to people was Royds School’s request for £100,000 towards its plans for a £600,000 3G sports pitch for use by the school and some local sports clubs. This idea has some support, but not as much as the other ideas. It also had a number of people against it. Some said it was asking for too big a share of the money, while others felt that it wasn’t real community use as access would be via the school and formal, organised sports group therefore it wouldn’t be as publicly accessible as the other ideas. Visitors to the Labour councillors stall at the carnival and people commenting on the Rothwell News Facebook page also made some new suggestions. 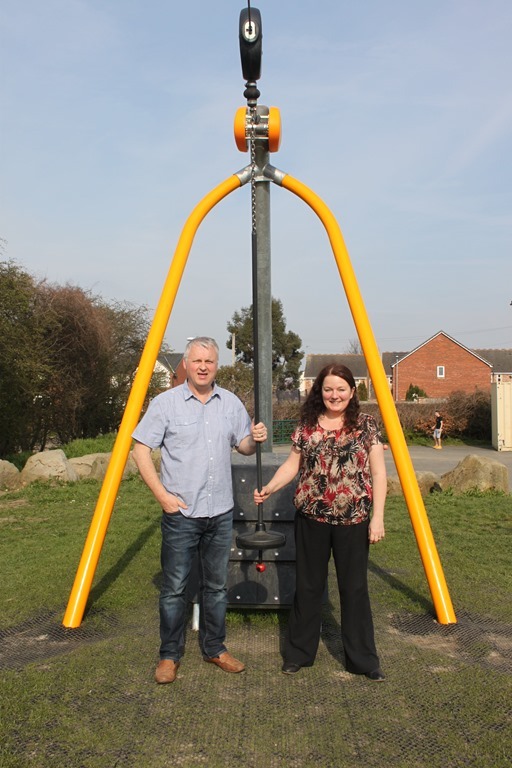 The most popular of these ideas was outdoor gym equipment in Springhead Park and Woodlesford Park. We would like to thank local people who have given us feedback. Both me and David Nagle think it is better to support the skate park, new playgrounds and outdoor gym as they will benefit more people in the community than spending £100,000 on a 3G pitch at the school where the only community use will be via a few formal sports clubs. Lib Dem councillor Stewart Golton wants to spend more than half of the 106 money on the 3G pitch for Royds school. Cllr Golton claims there was a ‘gentlemen’s agreement’ that the councillors would give £100,000 to Royds. That was never the case as we don’t believe in doing secret, back-room deals. That’s why we asked local people first. The community has clearly called for the playgrounds, skatepark and outdoor gym equipment. However, I’m aware Cllr Golton has put Royds School in a very difficult position by falsely leading the governors to believe they could have most of the community money. That’s not the governors’ fault so we want to offer £50,000, which is still a huge chunk of the money. This would still mean we can deliver most of the community schemes with the money, but not all the schemes like the outdoor gym equipment. As your Labour councillors though, we’re determined to try to make all the schemes a reality. We very much want to try and get some adult gym equipment and will try to access funds from other sources to be able to do so, but even a reduced contribution to the 3G pitch at Royds makes this very difficult. Cllr Karen Bruce and Cllr David Nagle with signs at Rothwell Carnival asking local people how they think community money should be invested. I have just read your blog post entitled “Row erupts over school pitch funding”. It is disappointing that you have chosen once again to try and mislead people rather than working together for the good of the community. I’d have thought you’d have learnt your lesson in the local elections where local folk showed good Yorkshire sense and used the ballot box to soundly reject your smears and mischief making. You’re right that me and Cllr David Nagle don’t support doing secret deals behind closed doors to spend hundreds of thousands of pounds of public money that is meant to be for the community. Rather than your approach of stitching it up in secret we think it is better to ask people in Rothwell, Woodlesford and Oulton how the money should be spent. It is wrong to suggest there has been any sort of secret “gentleman’s agreement” as that smacks of the tired, old politics that people are fed up with – much like your constant Punch and Judy attacks on me and David instead of getting on with the job you are elected to do. Because we think local people are more important than secret deals we’ve asked them what they think the money should be invested in. That’s why last week I blogged about the various options available, including the 3G pitch at Royds, to ask local people what they think. The blog post and Facebook status update on Rothwell News has reached nearly 2,000 local people and we’ve had lots of comments and feedback on what people think. Rothwell’s Labour councillors also had a stall at Rothwell carnival where we set out all the options so people could learn about them and tells us what they thought. We spoke to more than 100 people and almost 20 took the time to write their ideas down on post-it notes. That’s what we think local democracy should be about. Listening to local people and responding to their concerns. As part of listening and learning at Rothwell carnival we also spoke to other governors from Royds School. They understood the importance of benefiting as many people as possible. They understand that there are many demands on public money and to ask for more than half of it for one project is unreasonable, which is why they’ve agreed to consider asking for considerably less. You are factually wrong to say that pound for pound the 3G pitch will benefit more local people than the other ideas being put forward. The pitch will only be accessible to the school and a limited number of formal sports groups – as you say hundreds of people. In contrast investment in Springhead Park and Woodlesford Park will be accessible to everyone, many thousands of people. Your blog post also fails to mention that the £180,000 is meant to be spent on environmental and greens space for the whole community and that Royds School is already getting £300,000 specifically earmarked for secondary education. So Stewart if you want to have a row it’s with the people of Rothwell as me and David will be sticking up for what they want. p.s. I’ll be publishing the results of our consultation later this week – including your post-it note contribution in favour of the 3G pitch as I think it’s important to be honest and transparent.